The general problem of garment industry has been discussed in the last blog, this one will continue to focus on the garment industry in Bangladesh. Women workers are the backbone of the garment industry in Bangladesh, but they are also’ at the bottom of the supply chain’. (War on Want P.3)The female workers are facing a contradictory condition (Saxena, 2014). On one hand, they are being empowered because they are now able to work and be more independent, which is quite impossible to happen in a country where traditionally not allowing women to work. On the other hand, women workers are highly exploited and do not have a chance to compete with the male counterparts equally,making them unable to have upward mobility in the industry. Women can never get a place in managerial position. According to the report published by War on Want in 2010( a movement to fight for global justice), there are over 3 million people working in the garment industry in Bangladesh, almost 85% workers are women. The large amount of female workers doesn’t make them gain a better position in the industry. They have to work overtime(unpaid) in order to achieve the ‘unrealistic production targets set by factory owners’(War on Want P.6).What’s more,only women are employed as ‘helpers’, which is the lowest position in the industry with the lowest income. However, the 15% male workforce is usually managers and supervisors. There are also many mistreatment on female workers in the industry.The report shows that female workers receive sexual harassment during work. They also are threatened to being undress as punishment or to lose their jobs. The gender division of labor shows gender inequality in the garment industry. Women workers need to obey and be submissive to the male senior in order to work in the industry. Though the industry provides job opportunities to Bangladesh women and make them able to be independent financially, the position of women workers can hardly compare to their male counterpart. The World Bank has carry out the project “Northern Areas Reduction-of-Poverty Initiative” or NARI to linked the rural women in Bangladesh to the expanding garment industry (The World Bank, 2012). Aiming to assist rural women to find jobs in the city to save them from poverty. Although Bangladesh women can earn a living via the access to the garment work, they are still living in impoverishment and suffering from malnutrition(Rozario and Uttom, 2014). Moreover, Living in a patriarchal society, the position of Bangladesh women are low. They are also no rights to grain a maternity leave under the labor law within the country(War on Want, 2010). Majority of pregnant workers are fired, or sent on leave without any salary. Pregnant workers are forced to work until the final stages of pregnancy which pose a threat to the health of both mother and child(War on Want, 2010). Thanks to the global commodity chain(William,2004), to provide job opportunities for Bangladesh women. They are now able to earn a living to improve their hard lives. 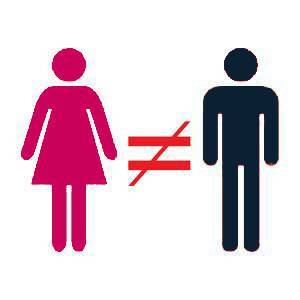 But when it comes to the issue of gender empowerment, this is still not the case! Rozario, R. and Uttom, S. (2014). Bangladeshi garment workers grapple with hunger, malnutrition. [online] UCANEWS.com. Available at: http://www.ucanews.com/news/bangladeshi-garment-workers-grapple-with-hunger-malnutrition/72377 [Accessed 15 Nov. 2014]. Saxena, S. (2014). A Glimmer of Hope: Women Leading Change in Bangladesh’s Garment Industry. [online] In Asia. Available at: http://asiafoundation.org/in-asia/2014/09/24/a-glimmer-of-hope-women-leading-change-in-bangladeshs-garment-industry/ [Accessed 13 Nov. 2014]. The World Bank, (2012). Women’s Day 2012: Empowering Women in Bangladesh. [online] Available at: http://web.worldbank.org/WBSITE/EXTERNAL/TOPICS/EXTGENDER/0,,contentMDK:23136765~menuPK:336906~pagePK:64020865~piPK:149114~theSitePK:336868,00.html [Accessed 14 Nov. 2014]. War on Want, (2010).Women workers in the Bangladesh garment sector. [online] London: War on want, pp.1-16. Available at: http://www.waronwant.org/attachments/Stitched%20Up.pdf [Accessed 10 Nov. 2014]. William I. Robinson (2004) ‘Globalization as Epochal Change in World Capitalism’, A Theory of Global Capitalism: Production, Class and State in a Transnational World, Johns Hopkins), pp. 1 – 32. Are US and EU sanctions on Russia having a ripple effect?